Something a little bit different for this post…. After all the recent controversy over hacked emails, IPCC errors and the British public apparently growing more skeptical about climate science and scientists, it is perhaps interesting to take a step back and look at why we believe that emissions of various gases can influence our climate. There are many comprehensive sources of the historical background to modern climate science, and many of the classic papers are freely available. This is a very brief summary of some of the those first ideas. In the 1820s and 1830s scientists such as Joseph Fourier and Claude Pouillet had questioned what set the temperature of the Earth. They realised that something like the greenhouse effect might exist (Fourier’s 1824 paper talks of trapping ‘non-luminous’ heat, i.e. infra-red radiation) , especially from experiments by Horace-Benedict de Saussure who carried an early ‘solar oven’ (essentially a blackened cork box with various plates of glass as insulators) to the top of Alpine peaks, but they did not yet understand the radiative effects fully. 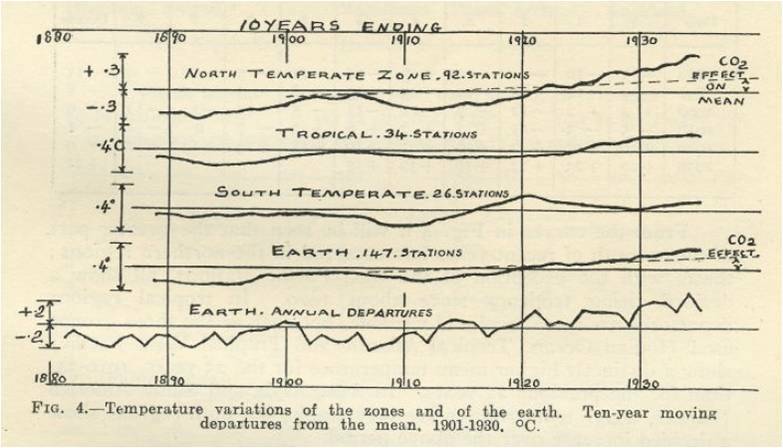 The work of Tyndall, and others, gave Svante Arrhenius the data needed to make the first climate prediction. 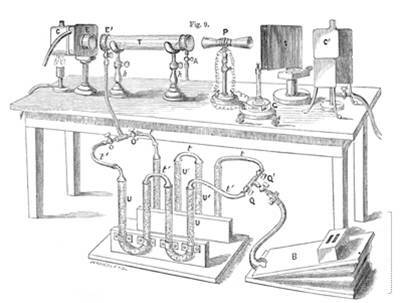 In a paper published in 1896, he used simple radiative calculations (done by hand!) to estimate the temperature change caused by changing the constituents of the atmosphere, and concluded that if you doubled the amount of CO2 in the atmosphere you would increase the global temperature by about 5°C (modern estimates are around 3°C). Arrhenius also predicted a polar amplification of any change in climate and an increased land-sea contrast, agreeing with modern evidence, but he had ignored the effect of clouds in his calculations. Hindsight may allow us to pick out these key scientists now, but it cannot have been easy at the time to distinguish between competing theories, particularly with the lack of observations and relatively primitive measurement equipment available. After Callendar, the subsequent few decades brought little consensus, although Gilbert Plass and Roger Revelle made important steps forward. In the 1950s and 1960s, concerns about particulates from burning fossil fuels causing a cooling were significant, but not overwhelming. Charles Keeling began measuring the quantity of CO2 in the atmosphere in 1958, but by the 1980s, the Clean Air Acts had reduced the levels of particulates and the warming began to emerge again. In 1988 the IPCC was born and will publish its 5th Assessment Report in 2013. It is with great admiration that one reads these early papers, particuarly the obvious dedication with which they approach devoting years to tedious calculations or designing and building new equipment. It is recommended reading for all! Any comments and corrections are very welcome. This post was first put online on the Department of Meteorology WCD blog.